What are Turnstiles, New York City And how do they Help Security? Turnstiles are access control systems. This simply means that they are part of a way for NYC security services to manage the influx of people coming into a building. These days, with all kinds of threats all over the place in the city, it is important to have crowd control. 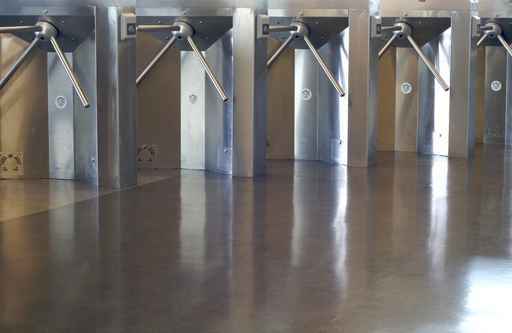 Turnstiles in New York are a great way to keep track of the number of people that come in and out of a facility. The main advantage of turnstiles is that they only allow a single person to pass through at any given time. It is a limited access gate that can be easily installed by professional services like Hulk Security Systems NYC. One-way entrances and exits can be set-up if needed. This keeps people from getting out of certain areas and allows them to get into others. If you sell merchandise at your business, this can be indispensable. 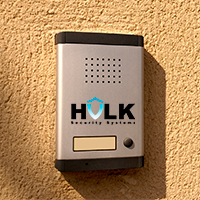 NYC security services from Hulk Security can setup any kind of security system that you need and install turnstiles in New York to help businesses and larger buildings monitor and control access. We will take care of installation, repairs and all maintenance for all types of turnstile systems. Talk to our technicians. Have them come out for a free assessment and discover how well your overall security can be enhanced. You will only get informed answers from our staff and they will take special care to find any potential security threats in your building and offer practical security solutions. If you have large crowds coming in and out on a regular basis, your staff will be better able to control the crowds with turnstiles. By limiting entry to a single person at a time, your security staff will have an easier time controlling the situation and preventing problems from occurring. we install, repair and maintain all types of turnstile systems and our technicians provide informative knowledge of all the possible options available.